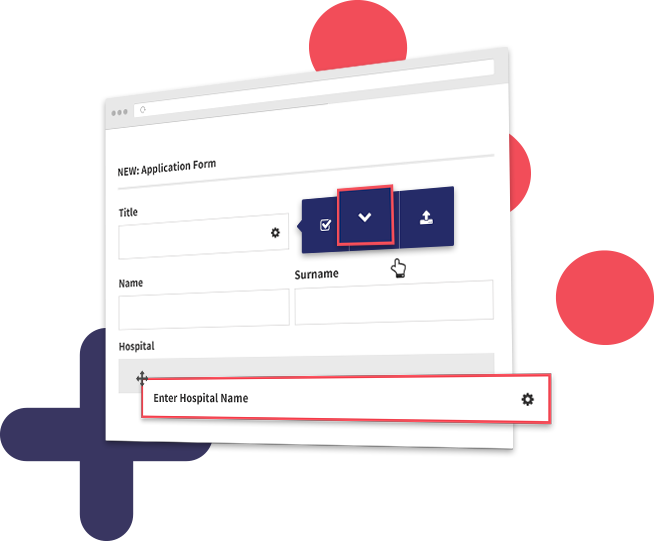 How we transformed PGMC’s course booking process, giving them back time, money and resource. 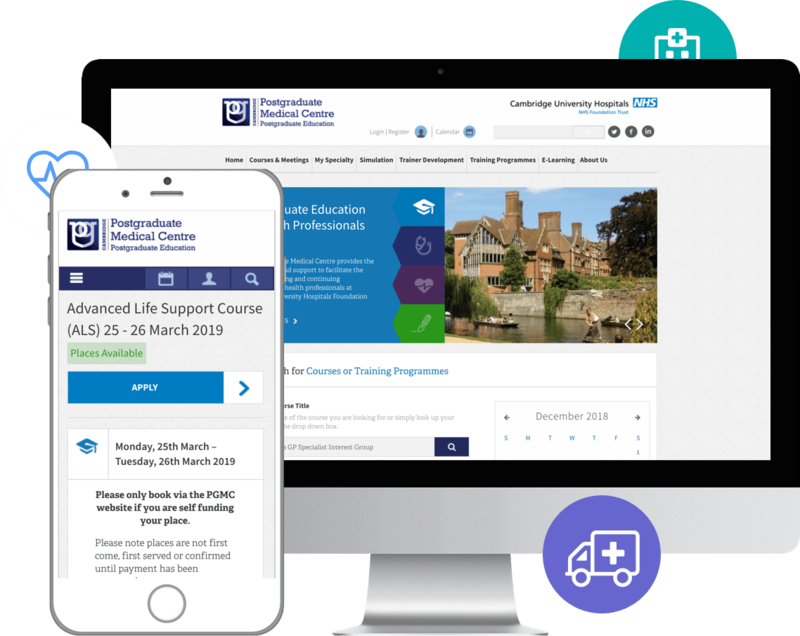 Develop a user friendly website that facilitates the education, training and continuing development of health professionals at Cambridge University Hospitals Foundation Trust (CUHFT). 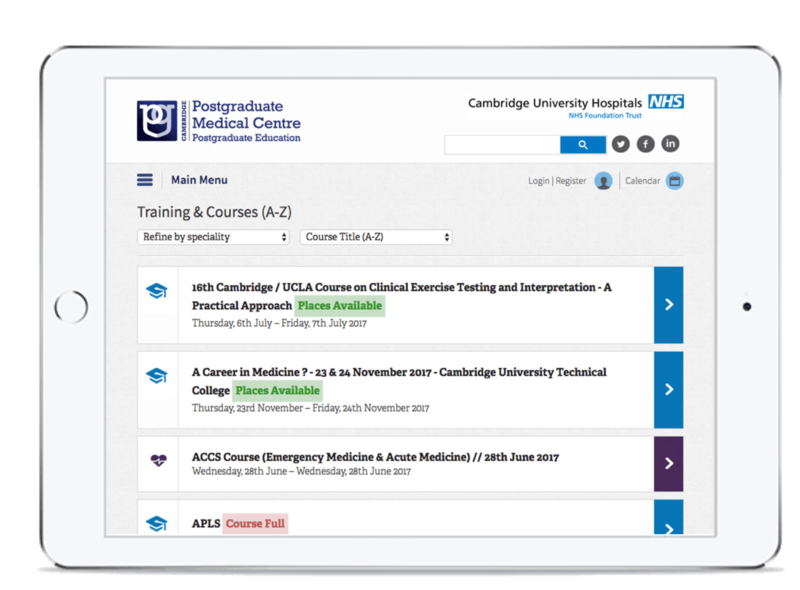 We created a bespoke platform that allows health professionals to plan, apply and pay for courses online, digitising what was previously a time consuming process. 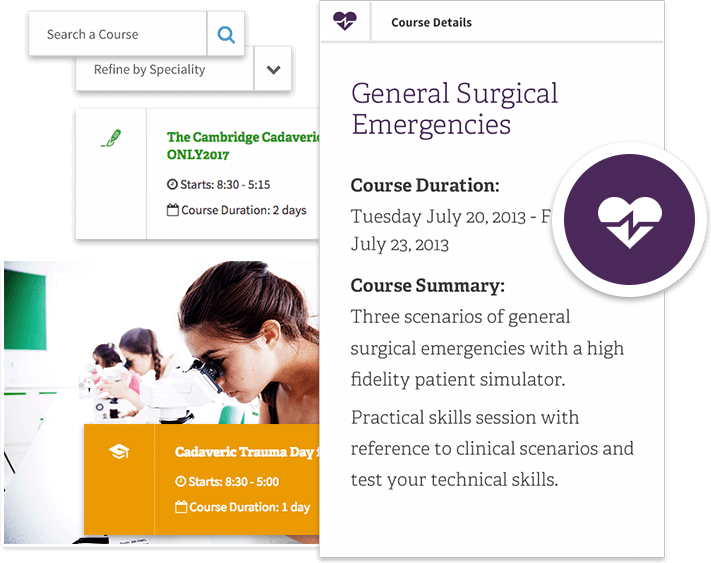 Using an advanced search, speciality filters or the responsive calendar, students can easily find and book their preferred course. 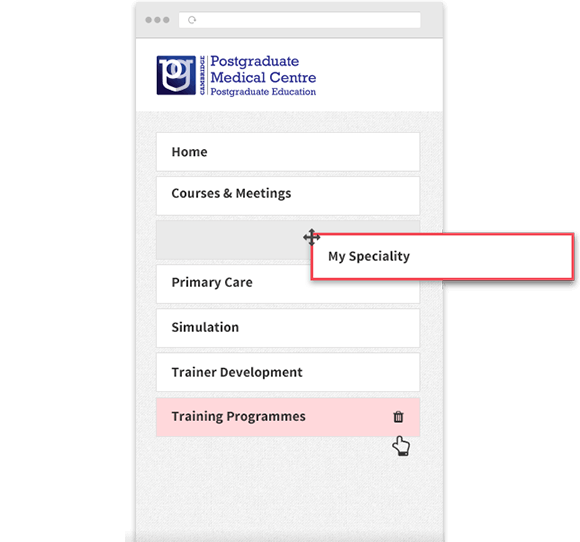 The PGMC team can manage courses, enquiries and customers using the fully bespoke cloud based admin area, giving them complete control wherever they are. 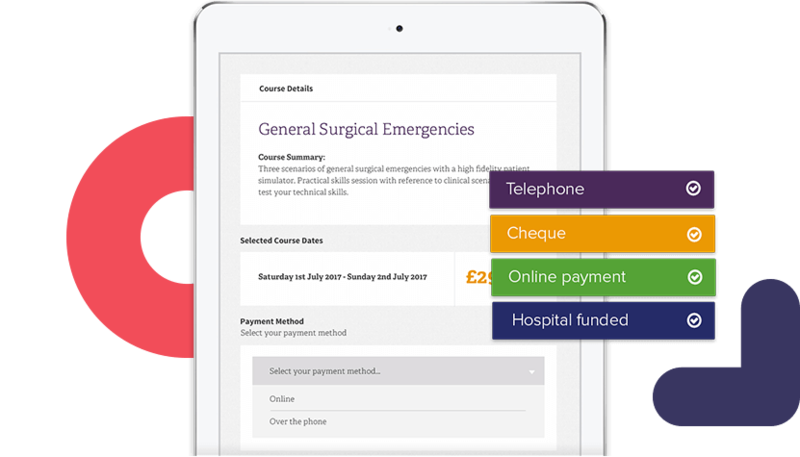 Students have multiple options for course payment, with each type of payment easily manageable in the admin area. Website admins have complete freedom to add, edit and sort the navigation menu to their exact needs. Course creators can mark off any completed tasks via an online checklist. Once marked off, online tasks are automatically actioned, saving the staff member time. The system auto-generates reminders if a student hasn’t completed a survey, saving hours of time and resources during the evaluation process. Digitising the process of booking online education, training and development courses, has saved invaluable time and resources.